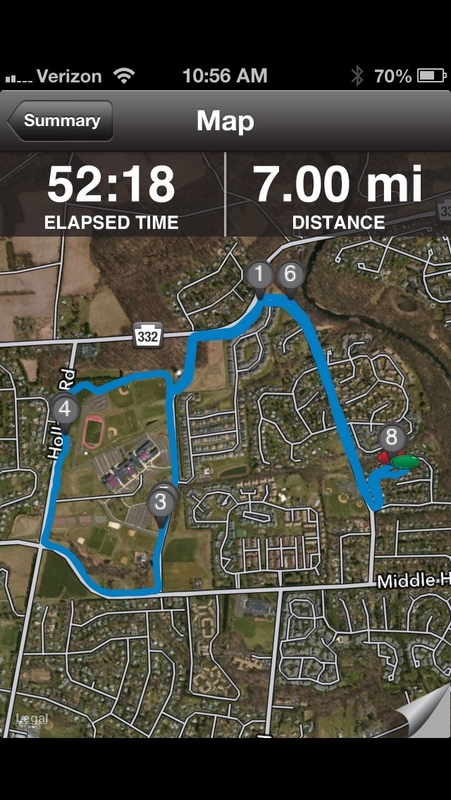 So today coach (Dr. Johnny King-Marino) had me run 7 miles with 10 by 1 minute hard one minute easy pickups within the run. I had to get this in first thing as today is a busy day. Aaron had his first game of spring soccer and then piano lessons. The typical run the kids around weekend day. SO my plan was to get up at 6:00am and get this thing going. I didn’t set an alarm as I am always up by then. Well sure enough I woke up at 6:20 so there went plan.. Anyway, I quickly got up and had a gu with caffeine and a full glass of water to try and get going and wake up. I got into my running stuff and headed out into the surprisingly cold 32F morning. The first two miles were easy as I was waking up and then I started the one minute fast one minute easy section, ten repeats in total. The first one was a bit tough as the body was not quite ready but I quickly found a groove. It is amazing how much faster the one minute recovery goes than the one minute hard! I saw Mike Brown’s Dad walking on the CRS Loop a few times as I was doing the pickup section. I think he recognized me. I finished the pickups and had two miles left to run home. Perfect! All in all a good workout and great start to the day. 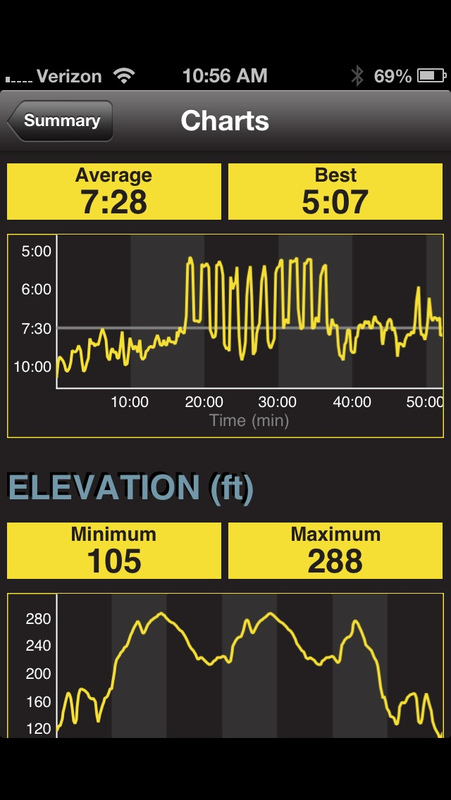 The workout information from Garmin Connect is below. Don’t forget about the Maccabi 5K April 28th at 9:30am. To register click below. If you cannot make it but want to sponsor please click on the icon below to sponsor and learn more about the Maccabiah games. ← OK Wind, Tonight You Got Me!